The tough get going: Which Samsung Galaxy Active phone is right for you? 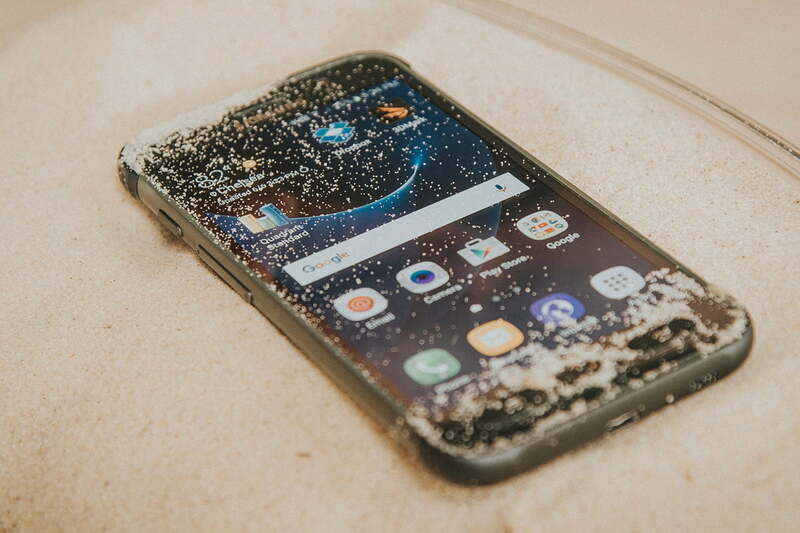 The Samsung Galaxy S7 Active is now available, offering a much more rugged take on the standard Samsung Galaxy S7, which is the latest-and-greatest device in Samsung’s ultra-popular Galaxy S lineup. This isn’t the first time we’ve seen Samsung release a Galaxy S smartphone built to take some punishment. It’s the sequel to the Galaxy S6 Active, which came out in 2015. If your smartphone needs to stand up against some harsh treatment, you’re probably wondering which one to buy. To find out how the two compare, we’ve taken out our magnifying glass to closely examine the hardware, software, and specs on both, to find out which is the one to buy. It’s obvious the Galaxy S7 Active is the newer smartphone here, but by how much does it outpace the older Galaxy S6 Active? Let’s start with the processor. While last year’s phone utilized Samsung’s own Exynos processor, the S7 Active has a Qualcomm Snapdragon chip inside. To illustrate the difference this makes to performance, we’ll turn to the AnTuTu benchmark app. The Galaxy S6 Active’s Exynos 7420 received a score of 86,652, while the Qualcomm Snapdragon 820 achieved a commendable 136,383. This means the Galaxy S7 Active is going to outperform the Galaxy S6 Active, and stay fresher for longer, which is important if you’re signing up for a long contract. Of course, RAM is also important in maintaining a high level of performance, and both of these phones deliver. Last year’s Galaxy S6 Active boasts 3GB of RAM, while this year’s phone opts for 4GB. Both will offer decent performance, though anyone who plays the latest games will probably want to go with the newer phone. When it comes to storage, things become a little more interesting. The Galaxy S7 Active only offers 32GB of storage, however it does come with a microSD card slot, so you can add more if desired. The Galaxy S6 Active offers either 32GB or 64GB of storage, yet it does away with the SD card slot. If you’re planning on keeping the phone for a while, you may be glad of any extra space in the future. Battery capacity shows a more natural progression. The Galaxy S6 Active has a 3,500mAh battery, while its successor kicks things up to 4,000mAh. The bigger battery capacity should directly translate to longer battery life, especially given the two phones have the same display. If a phone’s going to be more rugged, the design of it has to change, so these two phones look pretty different than their non-Active siblings; but how about the differences between the two? The Galaxy S7 Active is larger in every dimension — which makes sense when you consider the bigger battery — and a little heavier at 6.3 ounces. The differences aren’t massive, and both are still pocketable, but it may be a consideration. While similar, the phones don’t share exactly the same design. The Galaxy S7 Active is more refined and less complex. The back of the S7 Active, for instance, is flat and lacks variation, while the back of the S6 Active comes lined with bumps for a tougher look. Around the front, things are very similar, with both phones using hardware buttons for the Android controls. In terms of color, the Galaxy S7 Active is a little more subtle than its predecessor. Although the Galaxy S6 Active came in different colors of camo, the Galaxy S7 Active is only available in a green camo — the rest are simple, flat colors. We’d pick the camo every time. After all, it’s supposed to be ready for action! The display is the same on both phones, but that doesn’t mean it’s not worth talking about. Both devices feature a gorgeous 5.1-inch quad-HD Super AMOLED display. The AMOLED panel on the Galaxy S6 Active and S7 Active is a winner, with stunning contrast and colors, which makes both phones great for watching videos. Just what you want when seated around the campfire. Perhaps the only drawback to the display is that it’s susceptible to glare, but unless you’re hiking in direct sunlight, that shouldn’t be too much of a problem. When you’re looking at an Active phone, durability is the main attraction. You can’t really go wrong with either of these two devices — in fact, they’re identical in terms of durability. Both phones have an IP68 rating, which means that they can withstand almost any dust situation, and can survive in up to 1.5 meters of water for more than 30 minutes, if need be. In other words, this phone will keep up with all your adventure sports, weekends away, and even a dip in the ocean. Apart from dust and water, the devices also boast MIL-STD-810G certification. What that means is that on top of the dust and water resistance, the phones shake off drops, shocks, and even the sun’s rays. The Galaxy S6 Active and S7 Active are built for durability, and if that’s all you need, then you may as well go for the cheaper Galaxy S6 Active and save a few bucks. If you want durability and performance, however, you might want to shell out the extra cash for the more powerful and newer Galaxy S7 Active. The camera is perhaps the biggest point of difference between the Galaxy S6 Active and the Galaxy S7 Active. First up, the rear-facing camera. On the Galaxy S6 Active, you’ll find a 16-megapixel rear-facing camera with an f/1.9 aperture, autofocus, and LED flash. It’s great, but its also not up to 2016 flagship quality. The Galaxy S7 Active only touts a 12-megapixels on the back, but it offers a f/1.7 aperture, phase detection autofocus, an LED flash, and optical image stabilization. Optical Image Stablization is a very nice addition to the camera, and drastically reduces blur. Not only that, but the aperture is larger, so it handles low-light photos a little better. In general, we found the camera on the Galaxy S7 Active to be excellent in almost all situations, proving once and for all that megapixel count does not define the quality of a picture. Both phones can capture video at 4K video, though, the Galaxy S7 Active can record video at up to 240 frames per second, while the S6 Active maxes out at 120 fps. That could be important for a phone such as this, as there may be times when you want to capture high-speed footage, and the S7 Active will help you slow things down a little more than its predecessor. When it comes to the front-facing camera, it’s the same story. While both phones have a 5-megapixel camera on the front, the S7 Active opts for a f/1.7 aperture opposed to the S6 Active’s f/1.9, for better low-light selfies. You can’t go wrong with either of these two phones, and if you’re buying solely for the “Active” part of the name, you’ll find no difference when it comes to durability. Still, the S7 Active has the smarts to match any 2016 flagship, so if you want your new phone to last for a long time, you’ll probably want to go for the S7 Active over last year’s model. Of course, the extra power certainly isn’t free. Unfortunately, both phones are carrier exclusives, so you’re going to have to be either an AT&T customer, or be willing to switch over. The Galaxy S6 Active can be yours for $595, but if you want the more powerful phone, you’ll need to shell out a cool $795.